* Old QA1 part # MU7856P Want to improve the performance of your ride, without a major hassle? 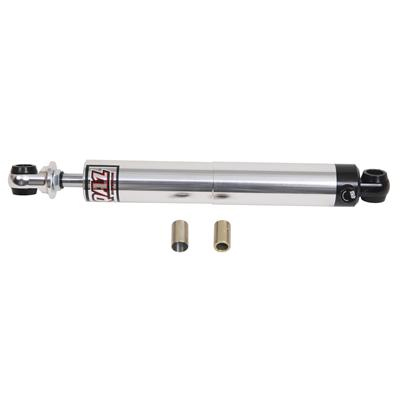 QA1 Stocker Star shocks could be your answer. They're lightweight, fully adjustable, and bolt right in. They rely on deflective-disc valving and have 12 levels of damping, which you can select at the twist of a knob--with the shocks in place on the vehicle. Stocker Stars have 5/8 in. hard-chromed, centerless-ground piston rods, double-lip wiper seals, and one-piece, forged, machined-aluminum bodies that are bright-anodized for great looks and durability. Each shock is dyno-tested for consistency and comes with chrome or zinc plated mounting hardware.